Gareth is a writer and director, originally from the Wirral and now based in London. They first became interested in opera and music theatre while studying at Trinity Hall, Cambridge, achieving a First Class BA Hons in English before pursuing an MPhil on the relationship of film and opera with a special focus on the work of Benjamin Britten. As a director, Gareth has been especially engaged in modern and contemporary music, having directed productions of work by Britten, Stockhausen, Tavener, Sondheim, Dove, Milhaud, Weir and more. They have worked as an assistant director with organisations including British Youth Opera, the Cambridge Arts Theatre and the Royal Academy of Music while recently observing work with Music Theatre Wales, the Manchester Royal Exchange Theatre and the Royal Opera House. 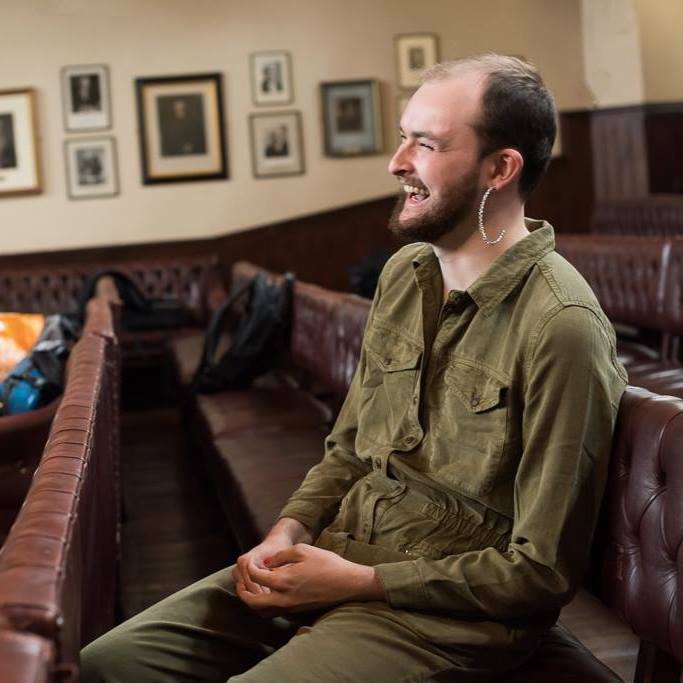 Most recently, Gareth directed Robert Reid Allan’s ‘Anthems for Queer Youth’ at Guildhall School of Music and Drama and will be assisting Stephen Unwin on Stravinsky’s ‘The Rake’s Progress’ with BYO this summer. As a writer, Gareth has developed ‘Belladonna’ for emerging Canadian chamber opera company FAWN, several song projects with composers at GSMD for Wigmore Hall and, as part of GSMD’s MA in Opera Making, has been closely collaborating with Pedro Lima Soares on the development of a new chamber opera entitled ‘Reel Woman’, premiered this July. Gareth is incredibly keen to find new spaces and new narratives in writing with contemporary music, especially prioritising the role of queer characters, structures and worlds. Gareth is also a filmmaker, having written and directed their first short ‘Quartet’ with Random Acts (working closely with SHOAL, a Manchester based contemporary music ensemble) and directing and editing a 360-degree short operatic video on a fragment of ‘La Boheme’ while attending a lab on the relationship of opera and VR at the Banff Centre in Canada.